When we first presented the trailer for Blue Sky Studio’s upcoming 3D CGI Peanuts movie, there were many concerns voiced, like “What if they ruin it?” and “They will ruin it,” along with “It’s impossible for them to not ruin it.” But producer Paul Feig is very aware of people’s fears over how the studio would handle the film—he has a tiny bit of experience with fan opinions on popular properties—so he wants to assure you there’s nothing to worry about. It’s not like Space Jam. Feig spoke to Collider about making sure that Charles M. Schulz’s beloved characters didn’t lose their identities—or worse, get Smurfed. It’s totally a G-rated movie, because you can’t get edgy with Charlie Brown. That was the Schulz family’s fear, that me and Fox and everybody were gonna come in and hip it up and cast Justin Bieber as Charlie Brown and have it like Space Jam or something. All of us were like, ‘No.’. We cast kids that sound exactly like the kids you remember from the specials. It’s very pure of heart. Setting aside Feig’s apparent belief that Justin Bieber and Space Jam are the quintessence of hip, the Bridesmaids director pointed out that Schulz’s son and grandson are both writing the film. So everyone can rest easy, knowing that the movie will be the result of nepotism, and not something crass. You can watch the full interview here. 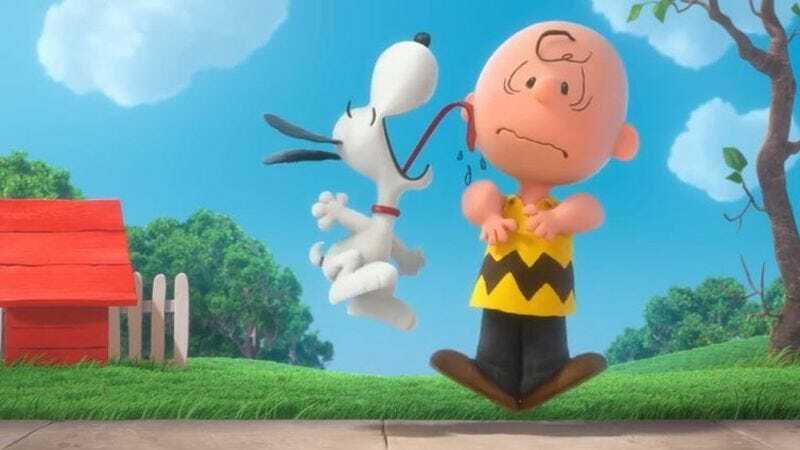 The Peanuts Movie is scheduled for a November 6 release.